See more ideas using Butterfly Wings in our gallery here. 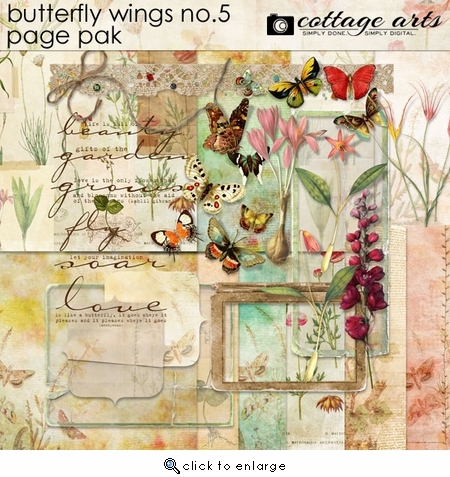 Richly collaged and softly spoken, this versatile botanical kit will keep you creating and inspired! 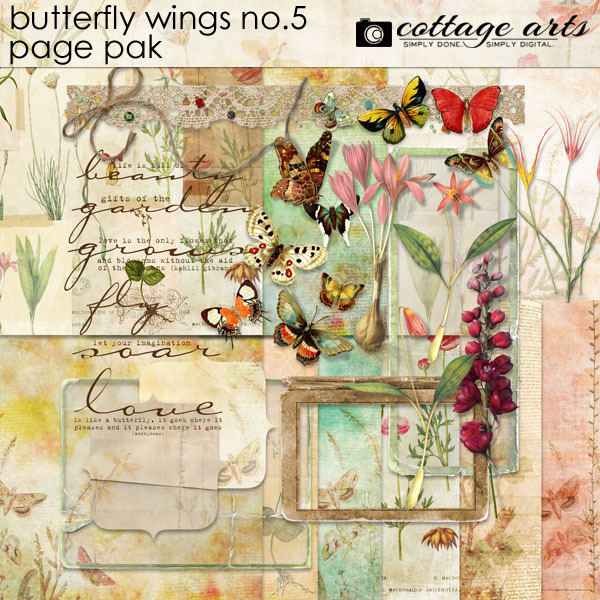 A sequel to our very popular Butterfly Wings Series...this Pak includes 18 - 12x12 botanical collage papers (10 unique patterns) and 32 beautiful elements: Torn & Curled Frames, book cover frame, 10 vintage butterflies (with and without lifted drop shadows), 5 vintage botanical illustrations (with and without lifted drop shadows), twine, lace, glitter, scattered spray, 2 collage journal mats, and 6 nature-inspired word art quotes. Note...only 10 of the 18 papers are shown on the preview.